What a week! Spirits were high after the Tigers swept the Boston Red Sox eight days ago, but five more wins sent the Tigers fanbase into the stratosphere, and the team into serious playoff contention. 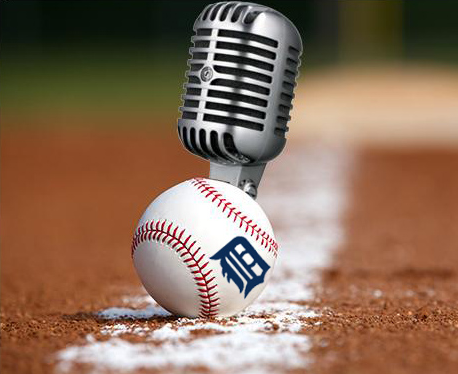 On this week's episode of The Voice of the Turtle, we break down the week that was in Tigers baseball, including just how they have put together such an incredible stretch. We also look back at the trade deadline, and examine the Tigers' decision to stand pat, along with winners and losers throughout baseball. This week wasn't all sunshine and rainbows, however. Mike Pelfrey hit the disabled list earlier this week with a back injury, while Jordan Zimmermann may be headed back there after a rough start against the White Sox on Thursday. The Tigers are also still looking up in the standing against the Cleveland Indians, a team they are 1-11 against this year. However, it's hard to ignore the good vibes surrounding this team right now. Your fearless cohosts gush over J.D. Martinez's massive pinch-hit home run (a clip you have probably watched again and again by now), as well as marveled at Miguel Cabrera's awesome numbers recently. We also spoke with special guest Matt Lyons of Let's Go Tribe, and host of the Let's Go Tribe podcast. - Is Anibal Sanchez for real? 2:28 - Rounding the Bases: division or bust!